I haven’t noticed that I do this as much as an adult, but when I was a kid, and reading a completely engrossing book, I would often find myself, at the end of a chapter, with my face pressed against the pages. It was like I was trying to physically force the words into my body as fast and as hard as was humanly possible. Although I’m sure it’s happened many times since then, I can only clearly remember two occasions in recent history – the first time I read Neil Gaiman’s The Graveyard Book, and yesterday, when I read Karen Healey’s The Shattering. ….it just seemed a good idea to be prepared. I hung a go-bag on my door in case of a fire or an earthquake and put a mini first-aid kit in my backpack, and I rehearsed possible disasters in my head, over and over, until I was sure I knew how to react. I knew it sounded a little bit crazy, and I stopped telling anyone about it when Hemi Koroheke called me creepy and, with smug emphasis, neurotic, which was our Year Eight Word of the Day. But I did it anyway. I had plans for what eulogy to give if both my parents were hit by a car, how to escape or attract help if I were kidnapped, and how to survive if I were lost in the bush. It wasn’t as if I thought all these things were likely to happen. But I knew they could, and if they did, I wanted to be ready. In the end, it didn’t do me any good. Because I didn’t have a plan for what to do if my older brother put Dad’s shotgun in his mouth and pulled the trigger with his toes. Seeing myself so clearly written across the page was disturbing. My older brother is alive and well, thank goodness, but I don’t know how many times I have done what Keri has – tried to beat back the absolute worst, most terrifying unknowns with careful planning. Three years ago, at Christmas, I was shopping with my mother at Barnes and Noble. She was looking for a book for my sister-in-law, something with vampires, I believe, in the YA section. I was teaching preschool at the time and had wandered into the parenting section to browse. When my mother came to find me, I was reading the first chapter of a book called How to Raise Your Anxious Child, and I jokingly told her she should have read this before she had either of her children. Honestly though, I was intrigued – others are out there, I thought, others with these hidden, irrational fears? Of course they are, because none of us are actually alone in our crazy. Each of our crazy is, if not universal, at least shared with some portion of the population. 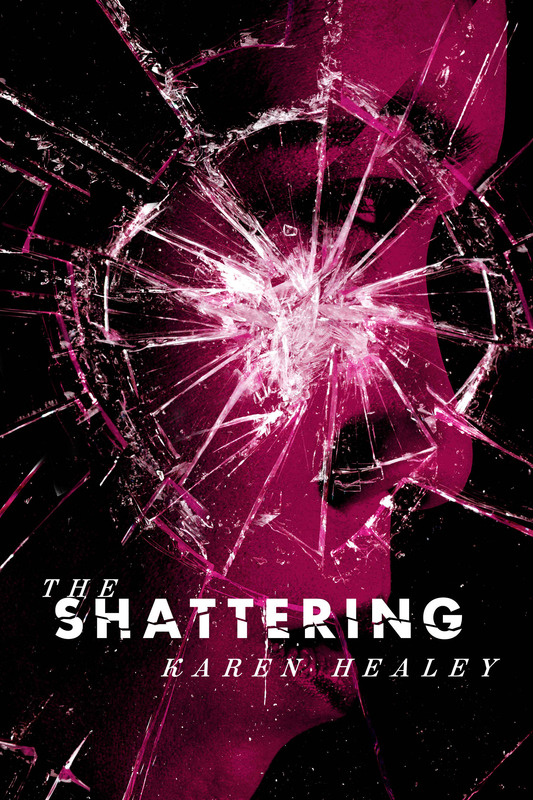 In The Shattering, Healey does a subtly wonderful job of taking my worst nightmare and turning it into a book I wanted to force into my skin. My parents sent me a link to an article by Sherman Alexie (www.fallsapart.com), author of The Absolutely True Diary of a Part Time Indian, called “Why the Best Kids Books are Written in Blood.” It was in response to another article by Meghan Cox Gurdon, who was talking about the role of parents in guiding the literary choices of teens. I don’t often follow back and forth rants, certainly not in the political or financial arena, but when it comes to literature, education and children, I’m hooked. So I read both of these articles (Sherman’s first, Gurdon’s second), and I pulled out some sections to share. I don’t know when or where this woman was a teenager, but those years are not much about joy and beauty, and I say that from the perspective of someone who had an exceptionally enjoyable teen life. Being a teenager is about learning how to deal with damage, brutality and loss on your own, usually with mixed results. Teens are striving for independence, but most are not well-informed enough about their own rights, or about sexual health, or about what constitutes abuse…the list goes on and on. Many teens have seen “depravity” in their own homes, neighborhoods, and schools; they have seen representations of it on tv (the news being one of the worst culprits) without any of the information being put into context for them. And as for careless readers? There’s no such thing. Children and teens who read especially are not careless about their selections. I should know – I spent my entire childhood taking ten to twenty books home from the library every week. I would sit on the floor pulling down book after book, reading the back or the insert and usually the first few pages if I had time. It felt like there were never enough books to choose from, certainly not in the YA section, which is where I was at around age ten. And while I agree that there are people of all ages who are more drawn to reading about what she calls “depravity,” and what many others call “life,” this is not a choice to change through censorship. Did I read some books when I was a kid that scared me, that I wished after the fact that I hadn’t read? Yes. So I learned to censor myself – I didn’t like to be scared, so I didn’t often choose to read books that frightened me. I used knowledge about myself, discovered through experience, to make good choices. Isn’t this what childhood is about? 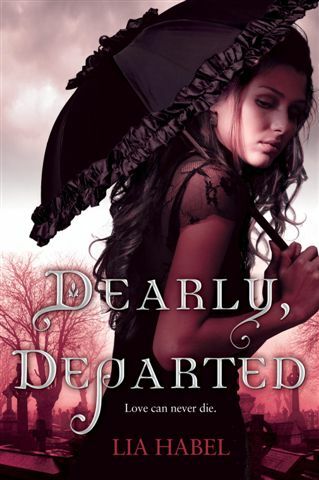 In her article, she shared excerpts from some of the books she finds unacceptable. To be honest, I have no desire to read most of those books either. Graphic violence, sexual assault, and the abuses of mental illness are not topics that I gravitate toward when I’m reading for entertainment. I didn’t even completely understand The Catcher in the Rye or A Prayer for Owen Meany when I read them in high school and those are nowhere near as disturbing as many of the books published under the YA genre these days. The difference between Gurdon and myself, I believe, is that I can decipher between books I personally don’t want to read and those that supposedly have no value to a wider and very diverse audience. Almost every day, my mailbox is filled with handwritten letters from students–teens and pre-teens–who have read my YA book and loved it. I have yet to receive a letter from a child somehow debilitated by the domestic violence, drug abuse, racism, poverty, sexuality, and murder contained in my book. To the contrary, kids as young as ten have sent me autobiographical letters written in crayon, complete with drawings inspired by my book, that are just as dark, terrifying, and redemptive as anything I’ve ever read…. (T)here are millions of teens who read because they are sad and lonely and enraged. They read because they live in an often-terrible world. They read because they believe, despite the callow protestations of certain adults, that books-especially the dark and dangerous ones-will save them. All over the world exist children and teens who have technically never been abused, hungry, depressed, ostracized – and yet YA books continue to be published (and devoured by readers) that depict the very worst of human nature. Maybe it’s because I’ve spent so much time with very young children and have seen how it’s possible for children as young as five months recognize their “place” in the social schema that I simply don’t believe in a world where even “privileged” children are not hurting in ways it’s difficult to comprehend. I understand that Ms. Gurdon wants to protect children from the worst parts of the human nature, but as Sherman says, it’s too late for that. When five-year olds form cliques in order to mete out punishment to social subordinates, it’s too late. When the number of teens committing suicide or going into schools to kill other students becomes an “epidemic,” it’s too late. When any adult who wants to volunteer at the library, a school, a church, scouts – even for a day – has to be fingerprinted, it’s too late. Fear for our children is rampant. We want to protect them from every graphic book or movie or website or video game, or person they don’t know, and the fact of the matter is, it’s not possible. Or even healthy. Our energy would be much better spent trying to build programs that support children and teens so that they have to face fewer monsters, rather than limiting tools that offer an opportunity for connection. We could be using those books as a bridge to talk to children and teens about disturbing issues. We could be asking them what they get out of those kinds of books, then taking that information and creating curriculum that empowers teens and children to stand up to monsters. Furthermore, when we take those books away, when we label them as “bad,” what does that tell those people who have experienced atrocities first hand? It reinforces the abuser’s line, “this is your fault and no one will ever believe you.” Children and teens are so vulnerable; there is so much, especially for them, that is unknowable, and that is the most terrifying thing. Books are information – they remind readers that nothing under the sun is new – so if you cut, or drink, or suffer abuse, you are not the only one. If you dream of a world where you make a better vampire than you do human, where it’s possible to fly through the galaxy, where exist dragons and villains, and most importantly, allies, you are not alone. If you live a sheltered life, books are where you can face fear or recognize compassion and true friendship for the first time. Books allow you to fall in love and to test out feelings that have no outlet outside of literature. Books are cathartic. Books are a lifeline. Books are dear friends when life is mysterious and dark and sad. Books are information. They are power. They are perspective. Does this mean you have to read every book out there? No. You don’t even have to allow your children to read any book that they want; but if you do, or if you have an honest conversation about why a particular book might be less age-appropriate, or more disturbing than another, you’re teaching your children that you value the experience they’re bringing to the table, not just your own. Maybe it will prompt you to read a book that your child is reading so that you can try to answer questions or concerns they have. Maybe it will remind you that not every experience is yours, and that the child you’re raising will be far better off equipped with knowledge than they will ignorance.